Sean Hannity and Fox News Channel scored a scoop they may not have wanted. Midway through a Wednesday night interview with Hannity, new Trump legal adviser Rudolph Giuliani noted that President Donald Trump had reimbursed lawyer Michael Cohen for a $130,000 hush money payment to adult film star Stormy Daniels. 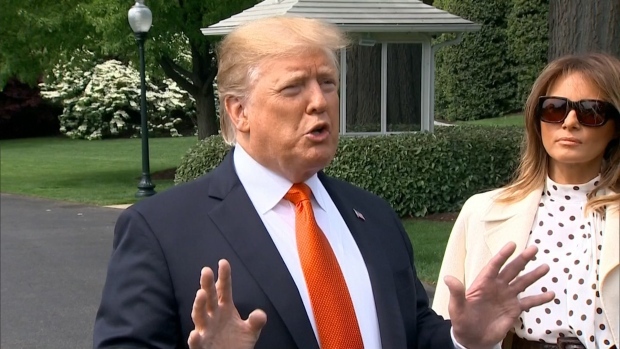 It was instantly news; Trump had previously said he did not know that Cohen paid Daniels not to talk about an affair with Trump that she alleges and he denies. News, yes. But Hannity makes no secret of his admiration for Trump — and now his show had broken a story that left the president open to questions about his truthfulness. 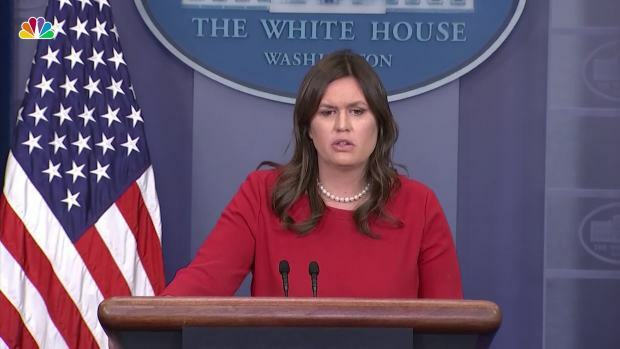 White House Press Secretary Sarah Huckabee Sanders said Thursday she didn't know about it until she saw it on television. Other news outlets quickly followed up, noticeable enough that Fox's Laura Ingraham said that "the left is jumping all over" the story. The first story on Fox's web site about Hannity's interview didn't even mention the payment, leading instead with Giuliani's assertion that people can't blame Trump for feeling that he is being mistreated by Special Counsel Robert Mueller's "garbage investigation." Hannity, who has acknowledged taking legal advice from Cohen, calls himself a commentator and not a journalist. But he knew instantly when Giuliani brought up the payment that it was news. "Oh, I didn't know that," he said. "But do you know the president didn't know about this? I believe that's what Michael said," Hannity followed up. CNN and MSNBC made the revelation their lead story for much of Thursday. Fox seemed caught between touting and belittling it. On "Fox & Friends," host Brian Kilmeade acknowledged that it was "huge news." But he also said, "The American people don't care about this agreement. There's a reason why the president's approval ratings are ticking up — because he's productive at his job and this is a distraction." Co-host Ainsley Earhardt agreed. "American people care about North Korea, what happens in Iran, food on the table, paying for college, border security," she said. "This whole story may be embarrassing for the president," colleague Steve Doocy noted. "But no laws were broken." When Giuliani appeared later on "Fox & Friends," the hosts talked first about whether Trump would submit to Mueller's questions before addressing the Stormy Daniels payment. To her credit, Earhardt said to Giuliani that "it sounds like the story is changing" and pressed him on why the president initially said that he didn't know about the payment. Giuliani did not answer her directly. "Fox & Friends" spent about a half hour talking about Giuliani's interview, fairly evenly divided between the issues of Mueller's questioning and the Stormy Daniels payment, according to the liberal watchdog Media Matters for America, which monitors Fox's coverage. There was a stark difference between the news networks at the 10 a.m. hour, when both CNN and MSNBC led their newscasts with Giuliani's statement on the payment. Fox led with Giuliani saying that former FBI Director James Comey should be indicted for leaking classified information, then brought on a Republican congressman to echo the point. "It wasn't just outrageous, it was criminal," said Rep. Andy Biggs of Arizona. By its 1 p.m. newscast, Fox was leading with the Stormy Daniels story. And in the midafternoon, Fox's website had a story about it, too: leading with Giuliani calling Daniels and her lawyer "stick-up artists."